In the spirit of Halloween, we thought we’d dedicate this to the scary-story lovers. 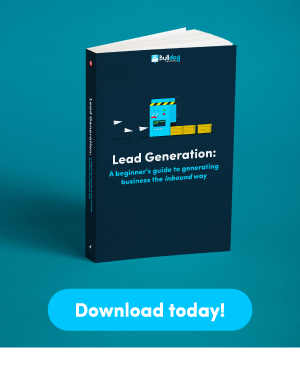 So, get comfortable and prepare yourselves for these hauntingly hilarious Digital Marketing fails. Kicking off with the most recent failure of our list is Amazon’s email campaign. On the tension-filled day of September 19th, 2017, Amazon sent out an email that would make a mockery of their brand. The email was meant to be sent to people signed up to the Amazon Baby Registry, to let them know a friend or family member has purchased a gift that’s on their Baby Registry. Seems pretty harmless, doesn’t it? Nope, definitely not if you take in consideration who they sent out the email to; people who were not signed up to a baby registry. Yepp, that’s right, Amazon sent out emails to random receivers with the exact wording ‘a gift is on the way’ next to a fittingly placed crawling baby. Of course, people took to Twitter and bombarded it with funny responses to Amazon’s apparent new pregnancy radar! Ironically, many of these receivers were definitely not pregnant. 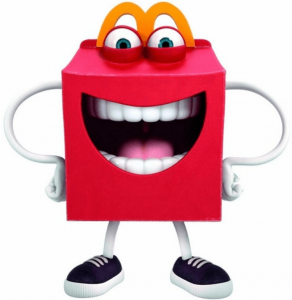 The scarily named ‘Happy’ mascot that McDonald’s released on December, 30th, 2014 was less of a joyful kids character and more of a nightmare fuelling creature. ‘Happy’ is a brought-to-life McDonalds Kids Meal box. It’s piercing eyes that are half-shut, making it look like you’re having creepy stare contest with an awkwardly smiling McDonalds box. ‘Happy’ is anything but its name. A more appropriate name would be ‘Creepy’. Well, with this all said, they did get one thing right in their Marketing Campaign – we certainly won’t forget their ‘Happy’ mascot (it’ll be visiting us in our dreams for a while). In 2014 ‘Honda Stage’ made a YouTube channel to gain popularity with music lovers. It entailed content of Honda-sponsored concerts, which seemed like a sound idea. Tragically, Honda’s apparent fear of commitment got the better of them, as they pulled the plug on their YouTube channel just seven months in! As they have hopefully now learnt, content marketing takes time and you have to be committed to the process. If not, you end up like Honda, splashing out loads of money, time and effort for a Social Media Campaign that fizzles out due to Honda’s seemingly long-term commitment issues. Not to mention the bad reputation this gave them, as they seemed to be lazy with this campaign. Despite the 2 billion fan impressions the YouTube channel had built up, it clearly wasn’t enough for them. It must be terrifying to consider how successful this content marketing strategy would’ve been if they’d only stuck to it! This was a very famous mistake that Greggs didn’t actually make. Somehow, hackers put up a fake logo to Googles search results for Greggs containing offensive language. Greggs had a skilled team of Digital Marketers and they managed to turn this around to their favour. Greggs decided, instead of keeping this on the low and dealing with it in a secretive way, they’d make it extremely public. Doing so gave them a huge upper hand for their online presence and their brand’s reputation, by using an awful sabotage as a way to market their business. How did they do it? Greggs tweeted Google asking them to fix their search result and they’ll give them free doughnuts. Obviously, Twitter – the joker of all the Social Media channels – took to this like moths to a fire. But it got even better after Google replied once fixing the problem with a witty response and continuing the hashtag that Greggs made #FixGreggs. Back in 2013, for some unapparent reason, KFC decided it would be a good idea to invest $50 million on a Social Media Campaign; #IAteTheBones. Yeah, they seriously had a meeting and decided this was a good idea! Obviously, this hashtag was a bust as Twitter users quickly succumb to innuendos, morbid dead body jokes and of course, cannibalism. What was KFC expecting from Twitter, the very people that ripped McDonald’s mascot to shreds with nothing but tweets? What KFC hopefully took from this was to never put all your eggs (or bones) in one basket, especially not when failing to think about how people would react. Toys R Us, a successful company who blundered their SEO efforts massively in 2010. They paid a massive $5.1 million to get the perfect domain name: toys.com. Toys.com would increase organic traffic and direct searches for Toys R Us if they had decided to re-direct it straight to their main site from the get-go. It’s a toy company’s dream to have a domain of that strength and one that would sky-rocket traffic. 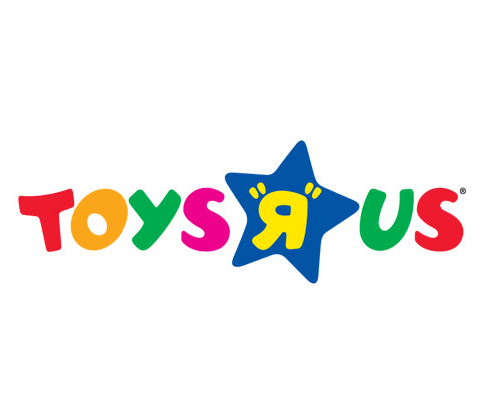 Toys R Us completely forgot how to use this new domain to its full potential, unfortunately, which would’ve been to 301 (re-direct) toys.com to their main site. Sadly for them, this resulted in a huge loss of predicted sales. Eventually, they did fix the 301, making the $5.1 million domain name finally useful to them as all Traffic would be directed to their main site. However, was it too late? Toys R Us have since sorted this out meaning they have given up the site for the domain Toys.com, after all of this kafuffle. This meant that all Traffic built up from that site has now been halted and future Traffic will be directed to their main site. Brand confusion due to Toys R Us not marketing their Toys.com domain as their own enough. This could lead to fewer conversions on Toys.com as not many people knew it was owned by Toys R Us. The ToysRUs.com main domain name could’ve not been ranking as high as Toys.com, which gave their main brand name a bad look. In July 2015, Toys R Us hired a new CEO, David Brandon. A couple of months later the Toys.com website got taken down. Perhaps, it cost too much or maybe he just didn’t like the original CEO’s decisions, who knows? Lastly, they already run 3 main websites, so maybe they wanted to remove anything that could draw focus away from those sites. These include; ToysRUs.com, BabiesRUs.com and FAO.com. @HVSVN Sorry for the delay in responding, our twitter feed is open 0900-1700 GMT. Please DM your baggage ref and we’ll look into this. @British_Airways how does a billion dollar corp only have 9-5 social media support for a business that operates 24/7? DM me yourselves. And he does have a point. Why don’t they have 24/7 support? British Airways could’ve softened the blow easily by replying asap and responding in a much better way than ‘DM us’. Which sounds more like the response you’d get from a teenager to their mate. Google is one of the biggest brands out there, so you wouldn’t expect them to make a mistake. 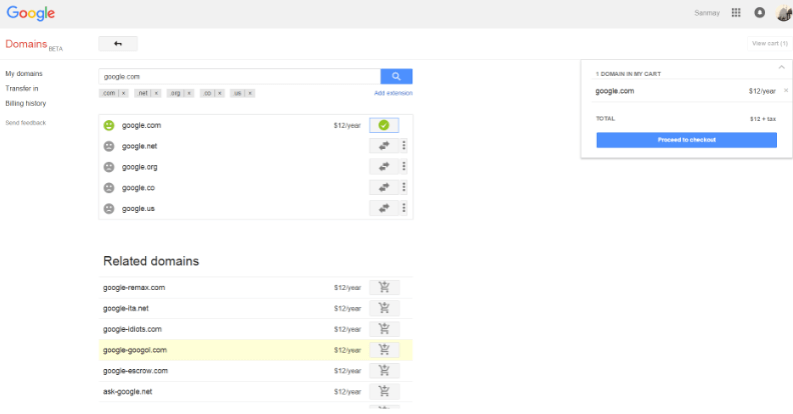 Think again because for an unknown reason Google.com wasn’t owned by Google… for one minute. During this minute a man named Sanmay Ved purchased the domain name for just $12 – the most used domain in the world! Ved had access to everything thing the original domain owner had. Including, emails containing internal information and control over webmaster. As expected, Google rapidly responded by cancelling the domain sale within one minute and refunding Ved’s $12. Hopefully, these companies have learnt from their scarily awful and surprisingly basic Digital Marketing fails. 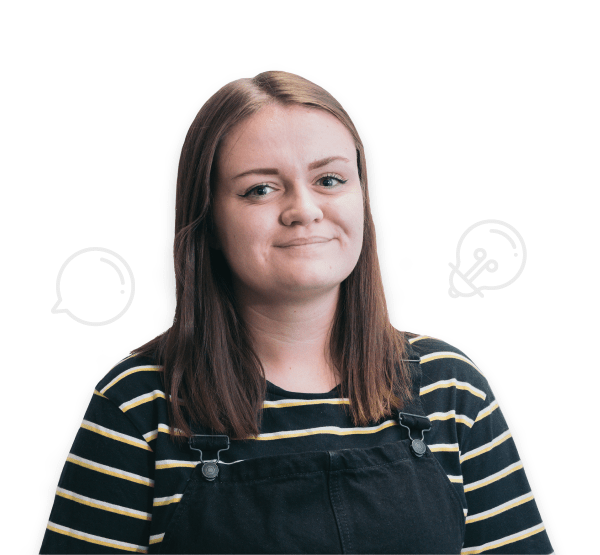 If you’ve got any campaign fails that haven’t made the list, comment them below and let’s get all Digital Marketers spooked into doing a better job than these lot. P.S Happy Halloween from Bulldog Digital Media!